If you fail to pay taxes, the government can slap a tax lien on your property. The lien gives the Internal Revenue Service or local taxing authority a claim on the amount you receive if and when the property is sold. Ordinarily, back taxes are a priority debt in bankruptcy, meaning the court will not discharge them. However, bankruptcy law allows some exceptions. Normally, a Chapter 7 bankruptcy will not discharge income or property taxes, which are priority claims. There are exceptions: Income taxes assessed more than three years before the bankruptcy filing, for example, can be discharged. Property taxes also survive a bankruptcy filing. However, if the property is sold through foreclosure, the property taxes due on the property remain with the property, not with you personally. The lien attaches to the property, and does not follow you after discharge if you should buy another home. Chapter 7 will not cancel any IRS tax liens -- these remain priority claims even if the tax debt is more than three years old. Bankruptcy does halt any legal proceedings against you -- temporarily. After the discharge, the IRS may still foreclose on the lien, forcing you to sell the property. The IRS has a claim on any equity that remains after the mortgage is paid. In order to clear off the lien, you must establish that it is not worth anything, or worth less than the value of your assets. You can do this by filing a Motion to Determine Lien Value. You will have to show that the equity in your home, or the value of your property, is less than the amount of the tax lien. If the lien was for dischargeable tax debt, then the court will reduce it to the amount of equity you do have available, or to zero if you have no equity. If the court does not act on a motion to determine lien value, then the IRS retains its lien no matter how much, or how little, equity you have in your home. In addition, the lien on the home will remain even after the bankruptcy is discharged. This will remain the case until the house is sold, or until the IRS fails to renew the lien after 10 years, the statutory limit on federal tax liens. There are also circumstances in which liens can be found invalid in bankruptcy. The IRS may have established an installment agreement with you for repayment of the tax debt. If you make timely payments, then the agency cannot assert a lien. In addition, if you can show that withdrawal of the lien will help you pay the back taxes (by making it easier to sell the home, for example), then the IRS may cancel it. Tax debts expire by statute after 10 years, so no lien can be asserted after this time has passed since the tax was due. If the IRS or any other agency files a lien after you petition for Chapter 7 bankruptcy protection, then the lien is barred by law. 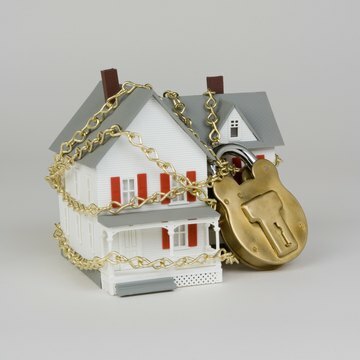 Moran Law Group: What Can You Do About Tax Liens in Bankruptcy? Chris W. Steffens: Can Taxes Be Discharged in Chapter 7 Bankruptcy?